It’s not every day that, as an adult, I get to impress my younger self. Last week certainly made up the difference. 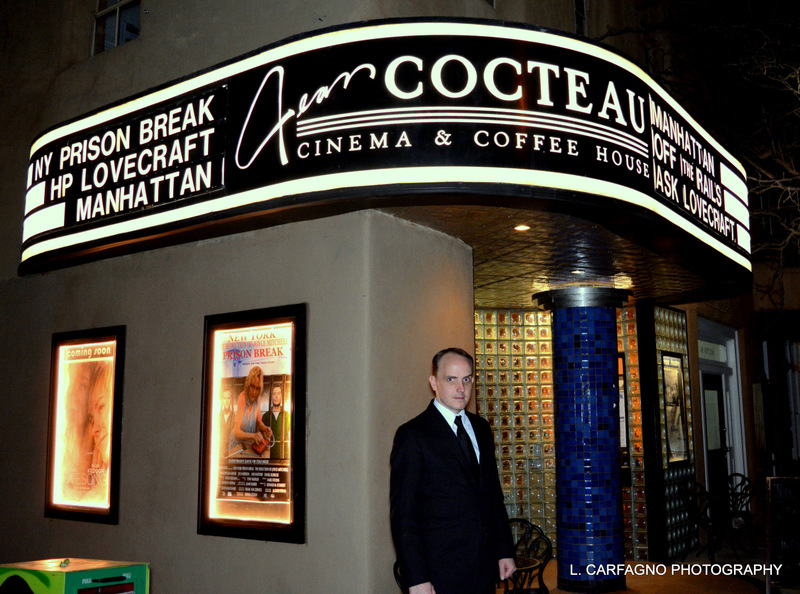 For those who are unaware, The Jean Cocteau Cinema in Santa Fe which is owned by George RR Martin, author of the fantastic Tuf Voyaging and also some books about wolves, invited me out to perform my Ask Lovecraft routine on their stage. This was one of those out-of-the-blue opportunities that I simply couldn’t in good conscience refuse and so after a bit of babysitter-wrangling, I found myself out in the Land of Enchantment, living up to the state’s sobriquet. 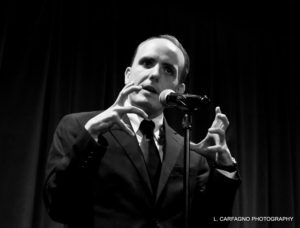 I’ve been performing as HP Lovecraft for seven years now and am in the fifth year of Ask Lovecraft and as with any long-term creative endeavour, questions arise as to just how long I want to keep at it and where do I see it going. Folks who have been watching this spot will know that I’ve hit certain milestones that make me pause and look back on the show with a touch of introspection. 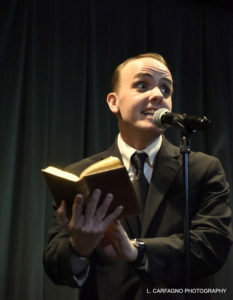 Going to my first NecronomiCon in Providence, followed by my attendance at the CthulhuCon in Portland were certainly powerful moments as was getting the opportunity to do my schtick at the HP Lovecraft Film Festival in San Pedro. These and other opportunities to take my show before a crowd have been immensely humbling and rewarding but there was something unique about this particular adventure to Santa Fe. This was my first time commanding a theatre by myself, not as part of a larger convention or festival but just me on my lonesome, standing or falling by own bizarre appeal. Now, I was not alone in this endeavour. 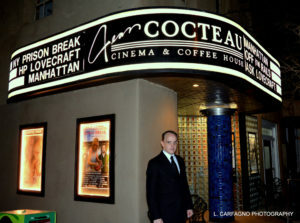 My hosts at the Jean Cocteau were absolutely astounding and generous with their time and support. They organized an interview with local radio host, Richard Eeds, The Voice of Santa Fe who allowed me to babble mostly coherently about my show and my background. I was also taken out to Meow Wolf, an artistic… experience? that proved to be well worth the trip itself. The shows themselves were breathtakingly fun. I never know if I’m going to get a crowd, let alone what sort of audience they are going to be. 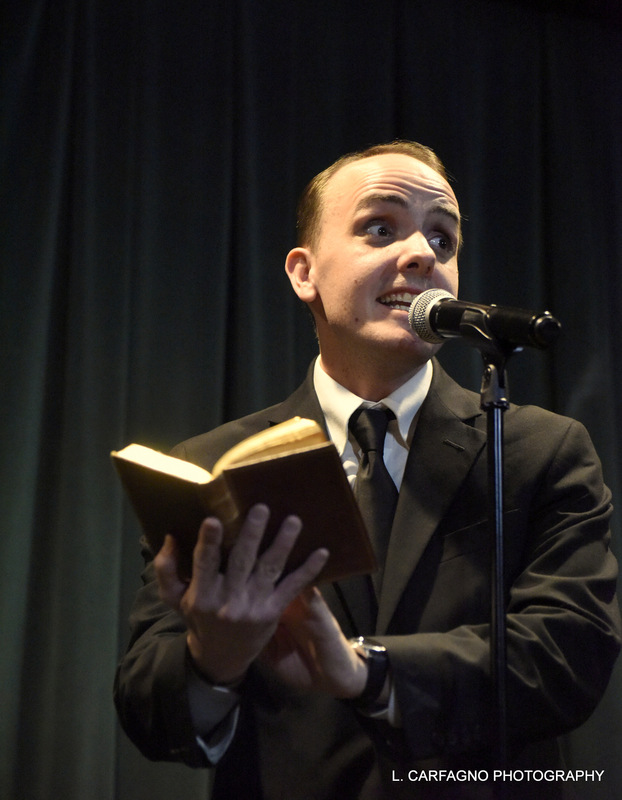 I’ve performed before die-hard Lovecraft fans with encyclopedic knowledge of his oeuvre, bored German tourists, and confused Anglican women’s auxiliary group attendees. Making sure to have a few ringers in the crowd in case things went south, I was still sweating bullets until fifteen minutes before my first show but it proved to be unwarranted as the folks who came out were warm, lively, willing to engage, and only mildly sauced by the cinema’s excellent bar staff. They were an incredibly delightful crowd made up of friends and complete strangers curious to hear what the reanimated corpse of HP Lovecraft had to say about his life, the world, and art. 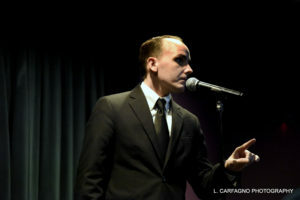 Finally, there was my opportunity to perform for Mr. Martin himself which proved an immeasurable delight. 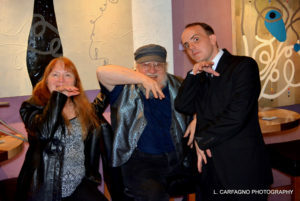 I’ve been reading his books since my brothers grabbed a copy of the aforementioned Tuf Voyaging and I have fond memories of making my way through A Song of Ice and Fire while studying in London. His Livejournal was even a part of my regular internet experience back in the heady pre-facebook days. So I was very fortunate to have met Mr. Martin as a fan over a decade ago in Nashville when Feast For Crows came out and I could pester him with questions about whether Tyrion and Miles Vorkosigan were modeled on the same person. It made getting to interact with him as a professional colleague quite a bit easier. The fact that there were fans of my own who had driven in from Albuquerque or elsewhere also helped dilute the fan-talent divide that can sometimes make casual conversation a touch awkward. All in all, this was an absolutely wonderful and career-defining moment for me. If putting on Lovecraft’s flesh-mask doesn’t earn me a more visibly rewarding moment than this one, it will have been worth it. I’m still holding out for the ultimate goal of hosting late night monster movies on SyFy but all in all, this was a really special week and I am so grateful to everyone for making it a possibility. Thanks to David and the Jean Cocteau for bringing me out, to Margaret for generous use of frequent flyer miles, to the Schumachers and Griggses for allowing me to hijack their vacation, to Linda for these beautiful photos, to Billiam for letting me bend time and space, and especially to Mr. Martin for being the most generous host I could ever ask for and allowing me to caper madly before him, I know, I know, oh oh oh! 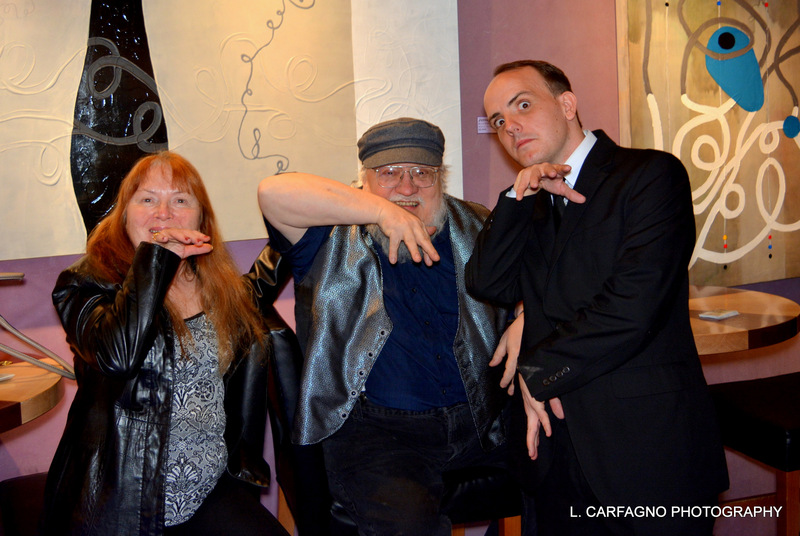 This entry was posted in blog and tagged George RR Martin, Lovecraft, Santa Fe. Bookmark the permalink. Far from a hijack, your show was the perfect capstone to a wonderful SW week! If you can’t get a show on SyFy, perhaps Netflix? I’d watch!